Since the inception of our ASC Technology Committee in 2003 we have been continuously and actively engaged with the emergence and evolution of digital imaging technologies, beginning with Digital Intermediate (DI) and its relentless march to becoming the pervasive post finishing environment. In fact, our Technology Committee has been continuously and integrally involved with key major phases of the paradigm shift from predominantly analog to increasingly digital imaging technologies. Having successfully collaborated with DCI to produce the crucial StEM test footage which contributed to the creation of the current digital cinema standards, we then partnered with the PGA to produce the Camera Assessment Series (CAS) which was designed to assess the capability of the seven leading digital motion picture cameras to effectively compete with film origination. As always, a fundamental objective of our Committee is to understand how technology developments, both digital and analog, affect the cinematographer’s ability, working in collaboration with a director, production designer and VFX supervisor, to realize a photographic vision. Much of our 2009 ASC Technology Committee report was focused on the intensely challenging, but immensely important work of our Camera Assessment Series. Digital motion picture camera manufacturers who participated in CAS have gained invaluable experience regarding the imaging strengths and weaknesses of their respective cameras and the dependence of digital camera imaging performance on Digital Intermediate workflow implementation. As a result of that prolonged and painstaking effort, vital lessons have been learned about the importance of understanding the limitations of current DI workflow practices, especially regarding their ability to achieve optimal imaging performance for digital motion picture cameras, as well as film capture. As I said in my introduction to our 2009 report, “The pressing issues concerning workflow color management and the need for unambiguous transforms between log, video “linear” (gamma), and scene referenced linear encoded images have been intensified by the rapid adoption rate of digital motion picture cameras for both feature and TV production.” Those limitations, which include color bit depth, along with ambiguous transforms between log encoding and scene linear are now being successfully addressed in test bed implementations of workflows based on the Academy of Motion Picture Arts & Sciences (AMPAS) developed Image Interchange Framework (IIF)-Academy Color Encoding Specification (ACES). The ASC, via our ASC Technology Committee, has fully endorsed IIF-ACES as the “next generation” best practice successor to current DI workflow practice and our Technology Committee is actively collaborating with the AMPAS Science & Technology Council to further its development and encourage industry adoption. We believe that IIF-ACES enables effective solutions that resolve current ambiguities and impediments inherent in much of today’s DI workflow practices which can inadvertently restrict optimal imaging performance, especially for the integration of live action with CGI VFX. Also, our widely adopted ASC CDL is being further developed to become a key IIF-ACES Look Modification Transform (LMT). Development work is being led by our Digital Intermediate Subcommittee and includes the additional implementation of a 6-axis (6-vector) function that will facilitate separate RGB primary and YCM secondary color saturation controls. These additional functions will further reinforce the value of our ASC CDL as an effective cross-platform look management tool that is able to coordinate cinematographer look references for "on-set" dailies with VFX, as well as provide look reference starting points for final Digital Intermediate color grading. The Subcommittee reports that follow, address various key issues that our ASC Technology Committee will be focusing on during the coming year, including the recent surge of 3D, as well as the emergence of the “virtual camera” pioneered on Avatar. This “virtual production” workflow is being addressed by our newly formed Joint Technology Subcommittee on Virtual Production that is collaboratively shared with the Art Directors Guild (ADG), Visual Effects Society (VES) and Producers Guild of America (PGA). Also, we have a report from the newly formed Previsualization Society which, I am proud to say, is the outcome of a successful conclusion to our ASC-ADG-VES Joint Technology Subcommittee on Previsualization. We will also be tracking the emergence of the DSLR motion image capture option. 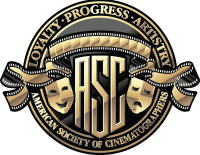 The ASC Technology Committee will continue its mission to be a leading motion picture industry forum that actively engages motion imaging technology developments while addressing their impact on the art of filmmaking.